Some phones and brands seem affected more than others. Brands which have been reported to have issues are Samsung, OnePlus and Huawei, but other brands may also be affected. If you see problems on your Android phone, please try the following solutions to fix the problems. 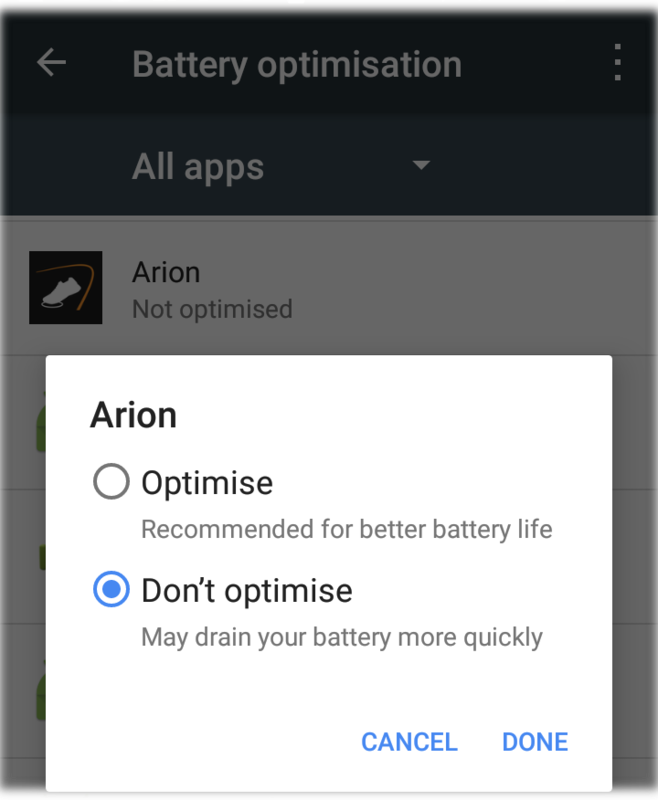 By disabling battery monitoring/optimisation for the ARION app, you tell Android that it should never kill the app while you are running. It will also affect how much GPS power may be used (higher typically means more accurate location/speed results). 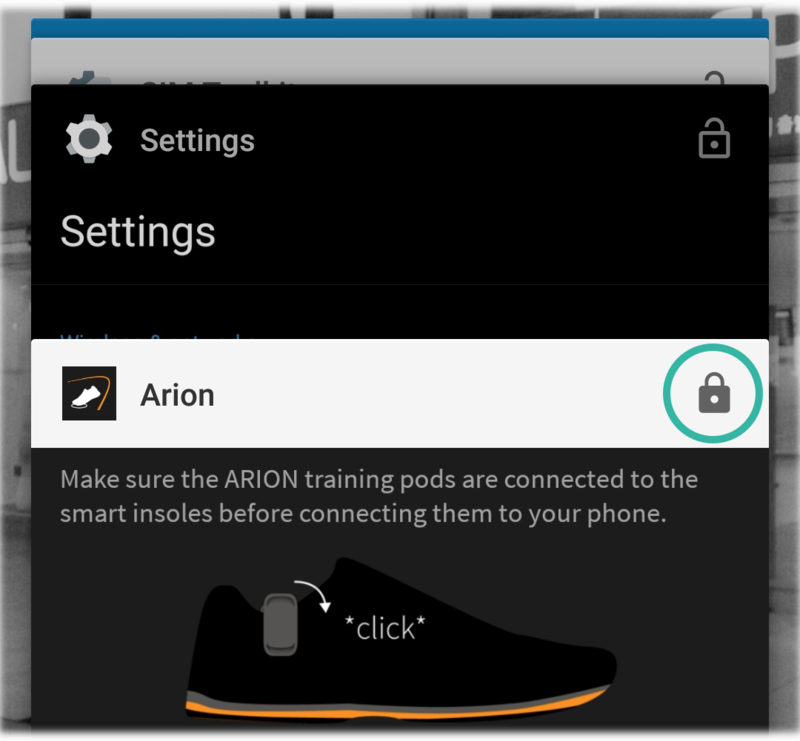 When you have a Samsung phone, you can do this by adding the Arion app to the list of Unmonitored Apps. 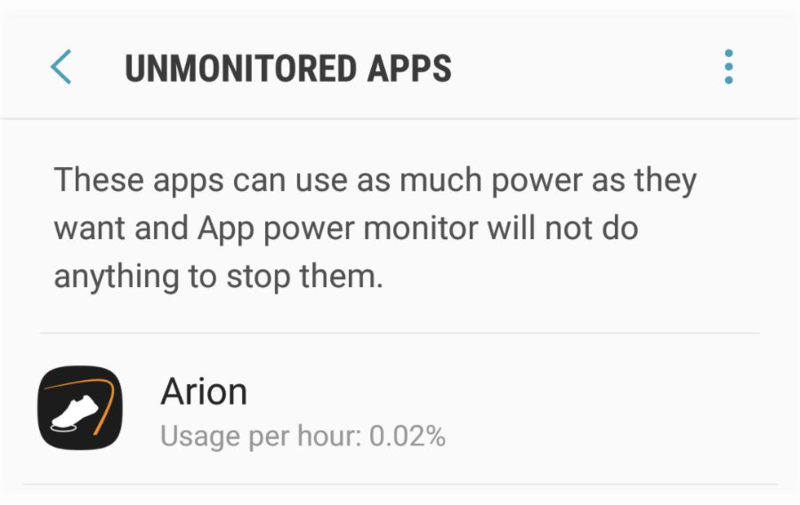 This option is applicable on certain Android phones, most notably from Samsung. 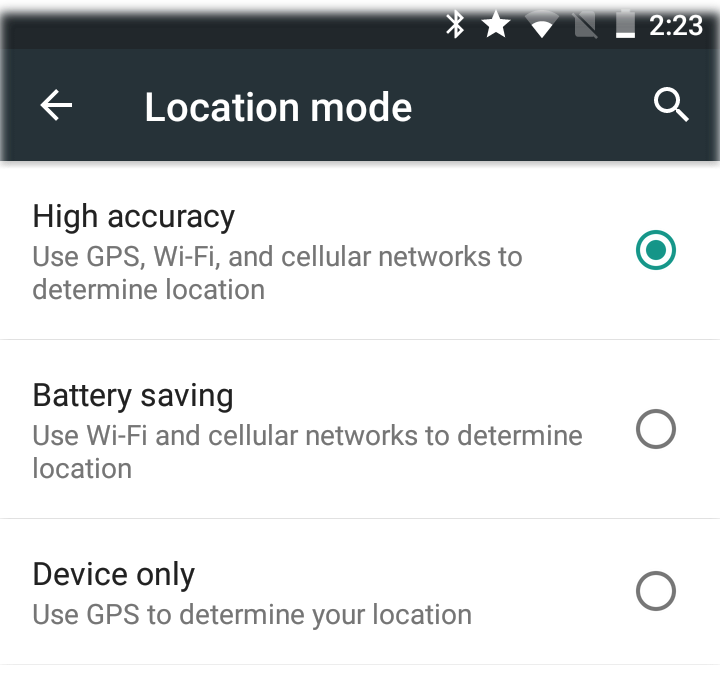 It greatly reduces GPS accuracy and is advised to turn this off. This option is available only on certain Android devices, from Android 7 and up. It has shown to fix issues most notably on OnePlus phones. 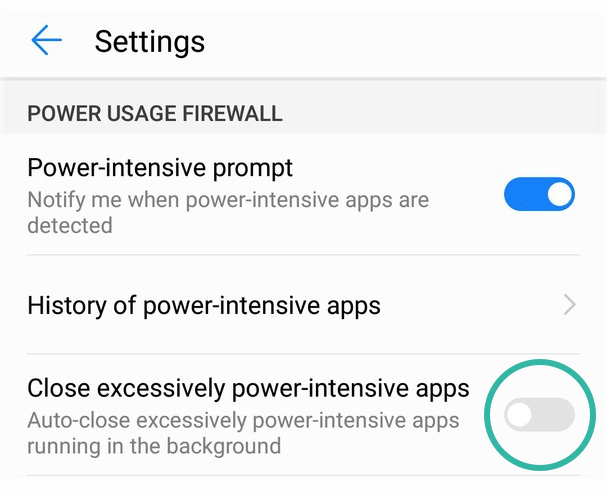 Huewei phones contain a unique feature that will kill power intensive apps to preserve battery life. Make sure this option is disabled on your phone. This option looks different on various phones. 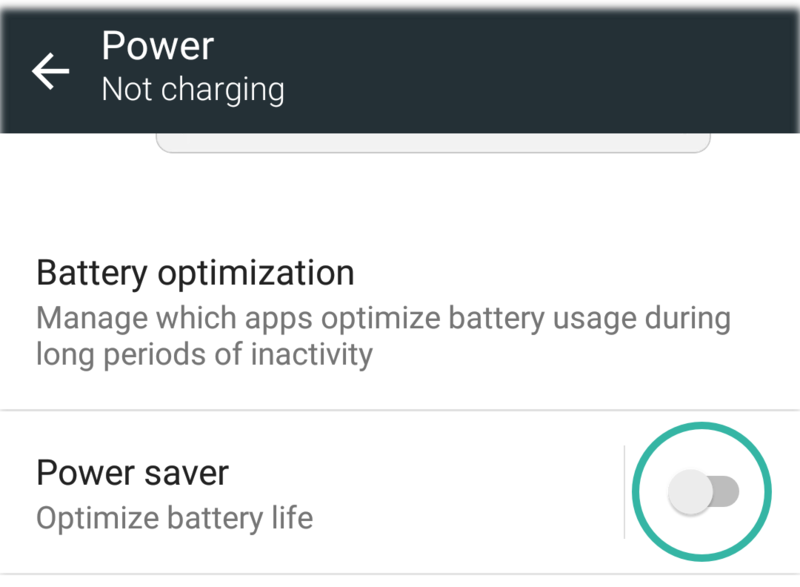 Disabling this option may drain your battery more quickly. It is therefore advised to only disable the power/battery saver during your run.